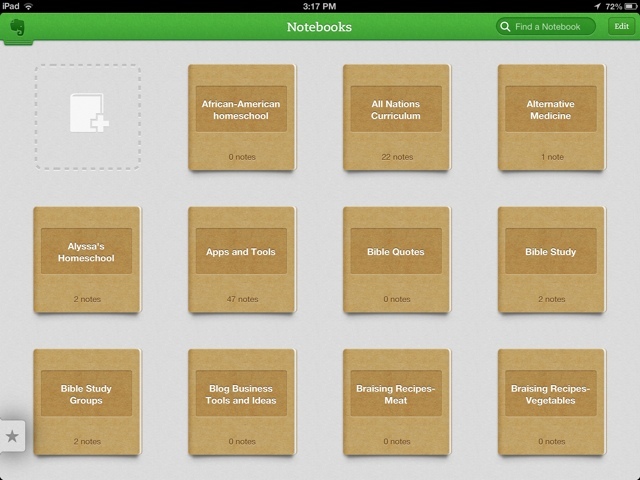 This year, to help me with organizing resources for a new year of homeschooling, I used Evernote. Evernote and I go back a long way. My husband told me about Evernote a while ago but I could not understand why he was so excited about it. More recently, I decided to try it for myself. Seemed like a powerful tool but I had the feeling I was not making the most of it. Many of the blog posts I read while researching Evernote seemed more focused on business uses. I am excited to report that now I have found many ways to use Evernote to make more efficient in many areas but particularly my organization and record-keeping for our homeschooling. Below, I have recorded some screenshots of my personal Evernote pages and examples of how I use Evernote and later I will tell you how I came to understand the true usefulness of Evernote in homeschooling. What a blessing! Her book gave me so many great ideas from using Evernote to snap pictures of my children's artwork and other creations (my daughter is very into food arranging/photography now!) to keeping track of favorite recipes as well as receipts. Once you are in the habit of using Evenote, you will find more and more uses for it in your family life. I decided to look for books or websites on using Evernote for homeschooling but found very few and the ones I found were not so helpful to me. As a homeschool mom, I saw how Evernote could help me keep track of classes, accomplishments and books from our year. I had everything organized in one place for each child. From lists of books (I just photographed them using the in-app camera) to lists of each child's accomplishments and classes, Evernote is a great homeschooling record-keeping tool. Therefore, Evernote helped me reflect on our homeschool year and compile our assessment for last year's notification portfolio. I also added our state's notification and assessment documents to my Evernote so I will not have to go digging online for those again. I forgot to photograph copies of our assessment but I will definitely do that next year so I have a copy for my records. 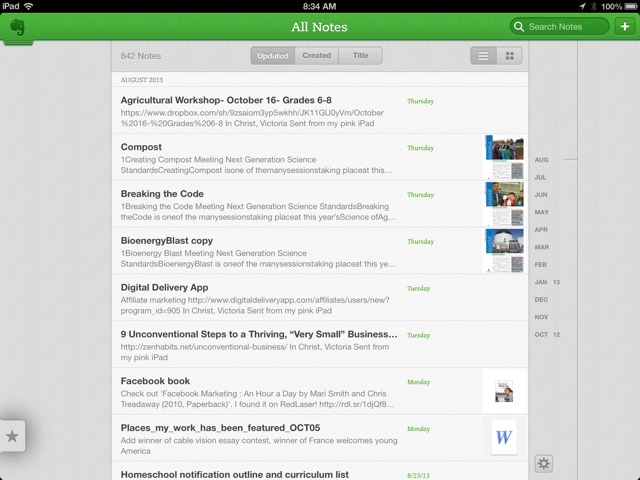 Now, I am finding Evernote useful in helping me plan some of this year's resources. I use a free browser extension called Evernote Web Clipper. As I research efucational resources online, I keep track of them in different "Notebooks" in my Evernote. As I or other homeschoolers I know need resources on various topics, I have them readily available. It is great to help me share educational sites with my blog readers! Launching a Note is as easy as just beginning to type. Nothing like opening up a new Word document! I learned many great tips from GetMeGeeky.com, a great website for non-geek moms to learn more about tech. 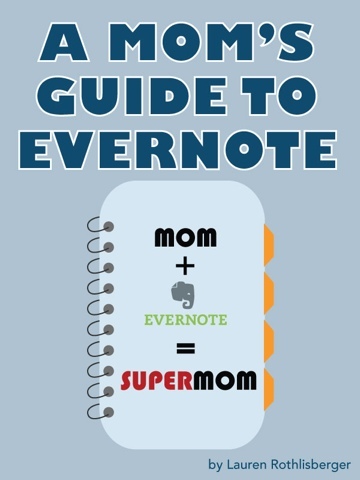 Here is a link to her ebook, Evernote For Moms, that I found very useful. At only $5, the information was worth so much more to me! This link will take you to her site so you can find out more. Purchasing through this affiliate link will make a small amount of money for me.